I am so excited to try and see my page views skyrocket. I am positive that I can do it. I know that there are a lot of factors to consider in increasing blog traffic but I am challenging myself on this one. I would be following the strategies laid out in the Pinteresting Strategies e-course. No one could tell if I would be successful or not in this goal. It is a matter of learning from people who had been there and done that. It is a matter of documenting strategies that worked best for me. 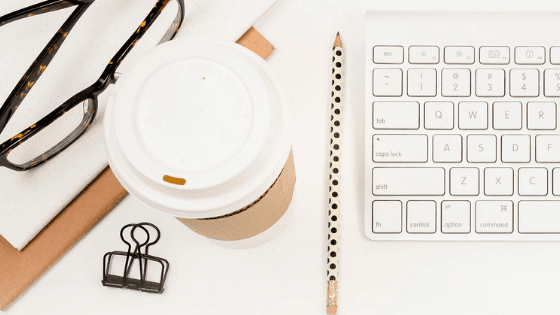 The good thing about taking a course is that successful people are sharing their best strategies so you don't have to go through the same painful experience of growing your blog, getting traffic and monetizing it. By following the strategies of the Pinteresting Strategies eBook, I was able to increase my daily clicks by 417.39% in just a few days! This post contains affiliate links. When you purchase from this site, I receive a commission at no extra cost to you. Please, know that I only recommend products I use and trust! Free Pinterest Templates to help you make pins fast. Make your first affiliate sales with this free course. 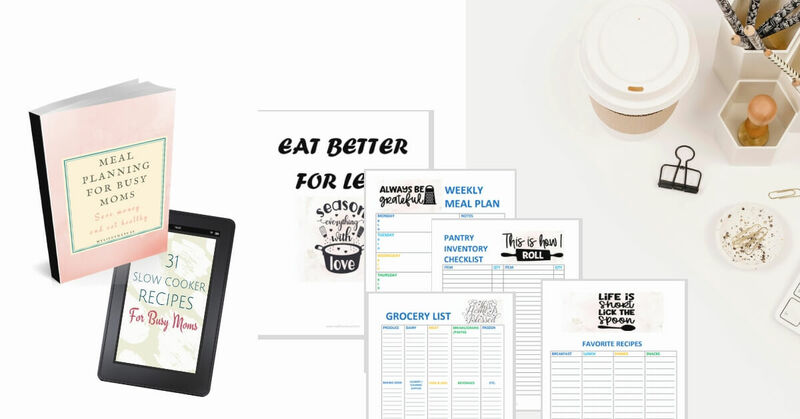 FREE Biz and Marketing Mini Bundle - Pre-made marketing planner, post blog templates, social media graphics and more. What makes this Pinterest method unique from other eBooks and courses? Most courses and eBooks out there will tell you to use scheduling tools while Pinteresting Strategies tells you how to understand Pinterest and teaches you the strategies to boost your pins with pinning manually. I have never heard or read somewhere else the information laid out in this book. One of the things you’ll learn is why your pins are not coming up in search when people are looking for your keywords and how to solve that. This book is very detailed that it tells you how to do things and empowers you with knowledge and proofs why you should. Do you see my two pins below? These two pins were pinned at the same time, keywords optimized and pinned manually but the other one has a very low engagement after a few days. Can you tell why? Pinteresting strategies can explain that. Pinteresting Strategies is not only about manual pinning. It's all about hacks and tips to grow your blog using Pinterest! Pinterest looks complicated but this book has helped me understand Pinterest in a lot of simple ways. After finishing this book you will have a solid strategy that you can apply immediately and you'll realize that Pinterest isn't complicated at all. If you are just starting your blog and cannot maintain a monthly plan for Tailwind yet, you need to get this book. I know that the only option is pinning manually so you have to do it right. 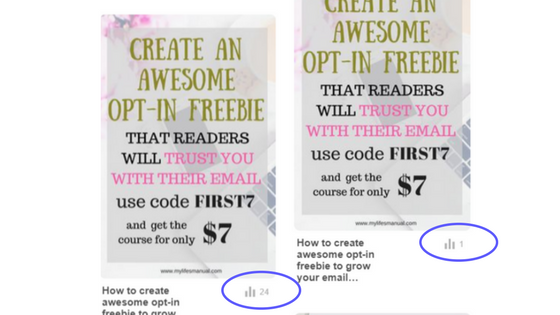 Do not waste your time pinning manually without learning the Pinteresting Strategies method. You only have to pay once for this book but will get all future updates. What? But I don't have time to pin manually and I still have to invest in this book! Hear me out, Are you not going to spend time on something that you know will lead you to the growth of your blog? Stop wasting time searching and wondering if your pins will get clicks and save. Scheduling tools are great. I even use it for my affiliate links. But these tools are not free and not cheap either. Carly, the writer of the Pinterest Strategies is consistently getting massive traffic using this strategy. If you do the same I am confident that you will see your blog grows and page views going up. You don't have to wait for months to get results. This book will not teach you how to make money. It will teach you how to bring your post to thousands of readers that will result to increase of followers, affiliate sales, Ads income, products sold and email subscribers. Just imagine your affiliate post viewed by thousands of readers. Yes. I have no regrets and very thankful that I have this book now. You will not see the strategies in this book somewhere else. I was lucky it was included in the Ultimate Bundle's The genius blogger's toolkit. You can finish it in just a few hours. I recommend you check back while applying the strategies. Do not skip any page and make sure that you understand each chapter before going to the next. Carly, the author of the book clearly explains every step that even beginners can follow. Before implementing the strategies of this book my blog traffic was coming from Facebook, but since I started applying the technique of Pinteresting strategies, Pinterest is now my top traffic referral. I also want to show you something interesting. I am focusing on increasing my click-through rate instead of views and saves. I want people clicking my pins. My average daily clicks have increased by 417.39% and average daily visitors by 428.57% in just a few days. How to increase clicks on Pinterest and traffic to your blog? Are you using Pinterest to drive traffic to your blog? What do you think of manual pinning? Let me know in the comment section below. If you find this helpful, feel free to share it. Follow me on Pinterest where I share the best strategies to grow your blog. Don't forget to check out the Pinterest Strategies e-course here. Very interesting article. I never heard about this product but I'll definitely take a look. My marketing on Pinterest has been pretty non-existent. I was into a long time ago but now I focus on Facebook and Twitter. Thanks for the reminder to get back into Pinterest. Cheers! Thank you Timothy. I also focus on Facebook but I still have to learn about getting traffic from twitter. Would love to hear your tips about it. Thank you Dominka. I am happy that you are using Pinterst. I would love to hear about your strategies too. Thank for dropping by. Good book review. I've been trying to find better ways to increase my blog traffic through Pinterest. This book sounds like a good source. Thank you Cara. It is a great book. I hope you can check it out. It was a big help for me and I hope it can help you too in increasing your traffic. I have heard good things about this program. I would love to try it out. It is good to hear others have been saying good things too always interests me to get in a range of reviews. What an interesting post! I never heard about this before, but honestly I will take a look at it. This post is really helpful to me. Never thought of it as pinterest strategies as against manual pinning! Very interesting tips & thoughts!! I learned it too, and it looks cool and could help a lot on my Pinterest Strategy. I need time to do it asap. I have to admit I've not heard of this guide before, Pinterest is definitely a platform I need to try and work harder with however. Such an interesting post. I do believe in the power of Pinterest. Since we started to pin consistently, we've gained so many followers! It's not driving much traffic to our blog though so a proper strategy could be useful! I need to do more on Pinterest. This guide is something that I might need. I have to admit I do as well, I normally just stick my images to pin and leave it at that! Thank you for this! I should get this guide. I've been wanting to use Pinterest more often. This looks like a great tool! Thank you for putting together all these strategies. Interesting article. I never heard about this product but I'll definitely take a look. I just started marketing on Pintrest this year and I am still learning. An interesting post. I rarely use Pintrest, but I know some bloggers who use it quite extensively. Seems like an interesting book which shares tips on pins.I use pinterest and I always use manual pining. Nice review. One of the things I am struggling with is boosting my view via Pinterest. I might be interested in this. I'm always looking for new ways to drive more traffic to my blog. I keep hearing about Pinterest, maybe it's time I start focusing on it as well. I feel like all of us bloggers are always looking for new ways to bring more traffic to our blogs and website. I def have a lot to learn with Pinterest. I will definitely check this out. I am always looking to expand my knowledge about this business. I know a lot of bloggers have found great success when using Pinterest. It can drive a lot of traffic to your blog. Especially if you are doing lots of crafts and recipes. DIY does pretty well too. I haven't really used pinterest for my blog in such an extensive manner. I should hire someone to do it for me. I have heard about the power of Pinterest to grow a blog and increase traffic but haven’t tried it yet. This book is a good first step! I have Pinterest but haven't paid attention to it just like my Instagram. Maybe I must give time and hopefully would improve my pinterest status. Pinterest has always been a bit of a MIND GAME for me. I hear about people getting massive amounts of traffic from it, but for me... Not TOO MUCH. I have yet to figure out what the deal is with it. Perhaps this explanation will help. I have started using pinterest more for my posts. I have seen more traffic from it. I'm definitely still trying to crack the Pinterest nut. I still have some strategies to implement, but everything takes time. Pinterest drives traffic to my site, but it's not engaged traffic. So still need to figure that out. This post is helpful! I am always looking for resources to up my Pinterest strategies, and I know I am just not able to catch up at the moment quite to my satisfaction. I will look into getting this book! I have heard a lot about how Pinterest helps in increasing traffic but I am yet to practically experience it. Would love to check this ebook. Interesting! I used Tailwind for awhile but I love how this e-book shows you tips on doing it manually. I have been looking for a new way to boost the traffic for Pinterest. This sounds like it would be a great tool. I just started using Pintrest this year and I am happy with the results so far. This sounds like a great course to take! I still have not taken anything on Pinterest! Good to know a course someone has taken and recommends ! 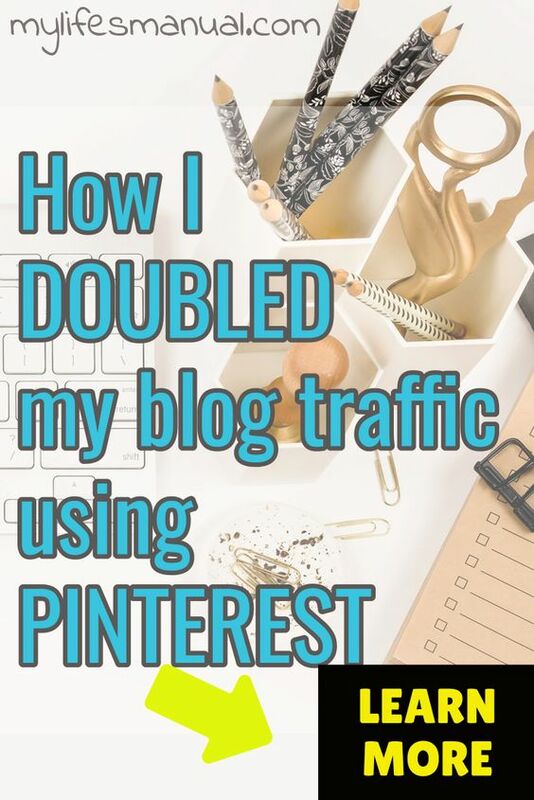 I definitely should check this out as I've heard lately that pinterest is so great about generating more blog traffic. I don't use schedulers so I don't mind manual pinning. Manual pinning? Oh man, that sounds intense! I really need to do more with my pinterest game. Great tips! I hardly use pinterest. It's nice to learn how to make it profitable. I've never heard of this but looks interesting! I know many people are getting traffic through Pinterest now so it's doable! Good luck! I should learn some strategies. I manually pin and it is my #1 referral source to my blog. Imagine if I knew what I was doing!!! Haven't heard of this but, glad Pinterest drive real traffic. I should pay attention to mine this coming weekend. I am nearly 2 months into blogging and I’m loving it. I only paid for my website. I post manually and haven’t considered anything like this. I do love Pinterest and will look into this more. I'll look more into this. I haven't really explored pinterest yet but thanks for the insights. Thanks for the strategies. 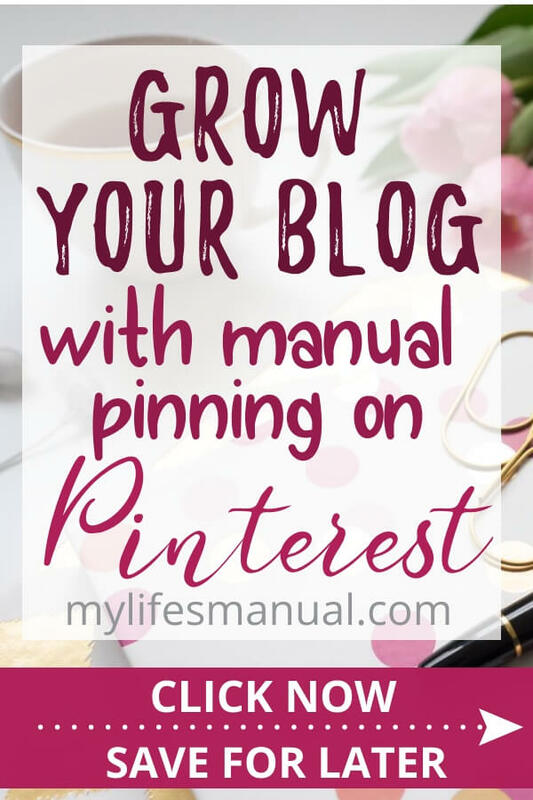 'Manual pinning' is a great tip. This book looks like a good helper to increase blog visitors using Pinterest. I also use Pinterest a lot! It helped me increase my blog's reach and my pageviews significantly went up after a few days only! I'm really grateful to Pinterest! This book sounds like a must have for everyone who wants wants to boost his or her traffic through pinterest. I will try to get it. what a good read, i actually have an account but never thought of this way! thanks! My pininterest has been so bad this something I may have to take advantage of. I've always heard that boosting your blog page views via Pinterest was the way to go. This is something I really need to work on and plan on it in 2018.
i am such a newbie to pinterest, so this was really informative. i am interested to learn more about how i can use it to boost traffic to my blog. Pinterest is where it is at! Everything on social media hit Pinterest weeks in advice. Pinterest is a big source of traffic for me, but I'm always looking to improve on it. This sounds like a great investment for my business. This is a great resource. There are so many technical aspects to blogging, so every bit of valuable information helps! Pinterest is definitely one of the medias that I would like to work on to drive traffic. Everyone always talks about scheduling but no one really hits on what to do for manual pinning. This looks great! Sounds like an interesting, useful strategy to consider. I'll definitely have to give it some thought. I am currently in the middle of Pinteresting Strategies and am definitely finding it useful! I'll definitely take a look on this. It sounds interesting and thanks for this helpful information. I found this really beneficial. I'm experimenting with Tailwind and Board booster right now but would love a free option! I find using Pinterest really helpful myself. I might have to check out the ebook. I am always looking for new ways to increase my blog traffic. I use Tailwind and love it but I also know that manual pinning is important. Thank you for the info! I have heard of a lot of people having success with Pinterest. I wish that I had more time to really invest and improve that social media outlet. This might be something that could help me. Wow seems like a very helpful e-book. Pinterest is a great tool to grow traffic so this would be a good read. Pinterest has so much power. I realised this quite recently. Thank you for this informative post. I have heard that Pinterest is great for growing a blog! I need to expand mine! Pinterest can be a great source of traffic if used correctly. I need to check out this program. I really believe that Pinterest is the best way to do it. It is weeks ahead of other social media. I LOVED Pinteresting Strategies! It totally changed my Pinterest Game. I am also so glad to see that others are loving it as well. These are some amazing strategies to using Pinterest. Thank you so much for sharing. Oh this is great! I've trie Board Booster and I saw a slight increase. I will have to get this ebook! I am really struggling with my pinterest, and I was really looking for some strategies to work it better. This post is really helpful for me. 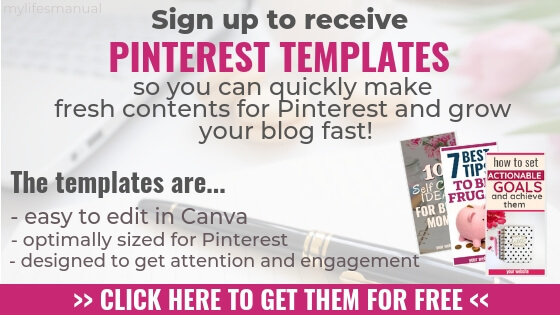 Omg Pinterest is one of the best ways I have seen to drive traffic to ones blog. If this book is as good as you say, then everyone needs this. This books sounds like a great tool to have for those wanting to increase the views in Pinterest. I did't realize the difference between pinning manually and scheduling them. Thanks for sharing the information. Thanks for sharing this information. I am getting more active on Pinterest. I hope it helps me traffic wise to my blog. This is really interesting, I haven't ever really used Pinterest a lot, but perhaps I'll have to look into it! Thanks for sharing! I've never heard of this program before, but it sounds like an interesting one. I would love to check this out! Thanks for sharing. First time hearing this program and I'm intrigued. It sounds like a cool program for upgrades. I'm going to need this. Interesting book. I pin a lot from other boards but not much in my boards. It's interesting how a layout plays a huge role to get noticed on Pinterest. I'm going to really look into this. I appreciate this info. I'm looking to Up my pinterest game as well as I know it'll drive traffic! Thanks for letting me know about this great book to help! I hear so much about Pinterest, yet don't dedicate as much time as I should to it. Looks like a good course. Ill have to read more into it. I'm all about increasing my Pinterest following, so this is super interesting. Thanks for all of your hard work on the subject! Ive heard pinterest is super helpful when growing a blog. I need to check it out. I haven't got involved with Pinterest as yet but I have heard very good things about it from some bloggers as an effective source of traffic for them. This post was really interesting and I love the fact that you will be updating it with your results. I will certainly look forward to following that and seeing if I would like to get involved using Pinterest one day. I need to make more time to explore pinterest strategies. A great investment! Interesting article. I signed up for the ebook. I really don't know much about Pinterest. I'm very interested in reading this book! Anything that will give me more traffic to my Pinterest site and to my blog. I love how you explained it here and I can't wait to read the book. Definitely need to give this book a read. Pinterest is so helpful to drive traffic to a Blog and definitely something I’m trying to work on! Good read...I definitely need to check this out! My blog is fairly new (two-ish months old), and I definitely am seeing I need to figure out ways to drive more traffic. Great post!I haven't focused much on Pinterest, I do have it on my list to focus on after I get the hang of a couple of other social media platforms :) I'll have to keep this in my notes to check out! Great post! However, I don't really use Pininterest nor do I have an account. However, if I do, I will definitely keep this book in mind. Pinterest is definitely a resource that I have under utilized. Very interesting ! I know it’s soemthing that really helps. I'm excited to try some of these tips. My Pinterest traffic has been super low. Really looking forward to taking off! I've heard Pinterest is a great tool for bloggers, but for me, getting started is so overwhelming! I really need to sit down and figure everything out, and this just may be the push that I need! Pinterest is a total win for getting new traffic. I really started to see a difference with adding in proper pinterest strategies! This is so amazing! I really need to continue honing in my skills and strategies in Pinterest. I can confirm that this book is everything someone needs to learn how to utilize Pinterest correctly to get massive amounts of followers. I recently purchased this book myself and I'm currently applying all of the strategies and techniques to my own pinning habits. In just a couple of days I'm already seeing the difference in my Pinterest account. I am not a big Pinterest user, but this sounds like a great deal and worth to take a look at. I am working on growing on Pinterest. Thanks for sharing these tips. These are great tips for growing your pinterest. I bet this book is amazing. Wow Wonderful .. great explanation. I could really use this. I really haven't optimized Pinterest but hear that it is a great avenue for driving traffic. This is promising guide and perfect to improve my Pinterest strategy. Omg mine is so poor, haven't gave focused. I need this. Pinterest baffles me but I know it's an AMAZING source of blog traffic for recipe bloggers and fashion bloggers specifically. I do everything one is "supposed to do" in regards to Pinterest but still never really reap the benefits. OHHH well. I really need to step up my pinterest game, but I'm still stuck on where I want it to go. This is a great guide for others to get started! Pinterest bc I see that it really works well for so many people. Its worth to invest in this book..i am still not able to use pintrest properly for my blogging. I really need to start learning how to take advantage of Pinterest traffic, I don't use the platform as often, but this is an interesting offer! Hey, I am just about to start this story with Pinterest as well. And I've heard about it as a great source of traffic. Thanks for opening my eyes and setting this course. I know some bloggers find that Pinterest has really helped to boost their traffic. I am only just starting to see a trickle of traffic from it so far, but I'm encouraged. I do pin manually at the moment because I'm not publishing a ton of new content. I suppose it makes a difference if you're publishing frequently and pinning to lots of group boards, though. How interesting! Everything else I read says to do Tailwind. So it's always great to hear another viewpoint. Great thoughts. It is definitely something to consider. Thank you. I was wondering if I should even bother keeping my Pinterest account. This article has been very helpful. I hear so many good things about Pinterest, but I am definitely still learning how to make it work for my blog. Love that you have a guide for affiliate marketing there! Great that I have stumbled upon this post! I bet, I need this too! Thanks for sharing! This was a great post about using Pinterest. I'm not sure how well I could do with it to add to my blog, but I suppose it would be worth trying. I have a pinterest account but have not really used it as much as I should. I've been reading a lot about how powerful this platform is. It's actually one of my focus come 2018 to explore. I keep hearing that Pinterest is good for blog traffic but have not experienced it to that extent. I will need to start spending more time on it. This is a very helpful article most specially to full-time bloggers. My blog, although it has already ads, they are generating money slowly. I think the time for me to cash out from them are still too far. Pinterest works in mysterious ways. Our blog relies on pinterest and instagram, but Pinterest is the most different and difficult to understand, yet it brings a lot of readers. Tailwind was really helpful, too pricey. Looking forward to know more and to understand. Thank you. Use Pinterest asap. Thank your for this resource! I am definitely trying to get more into Pinterest. I read this book and my Pinterest traffic is growing. Pinterest is now my top referrer for traffic. Oh great! I am so happy that you downloaded Pinteresting Strategies! This is a great review. I am looking into which courses I plan to take in 2018 and I've heard lots of great things about this book! I might have to add it to my list! Thank you Mary. have you set your blogging goals for the year 2018 already? I plan to invest in some key books and courses to build up my blog in 2018. This book was a maybe on my list but this review made it a MUST. Thanks for the great info! Thank you. Investing in yourself is the way to bring your blog to the next level fast. There are a lot of free courses which are awesome and have helped me as well, but taking a course is really worth it. Interesting post. I really need to start using Pinterest! I love Pinterest and have done well with it by manually pinning. The thing I don't like is if I don't pin for a couple of days then my monthly views drop like a rock. Thanks! Pinterest has helped me but so find it such a slow process so maybe some more effective strategies will be useful! 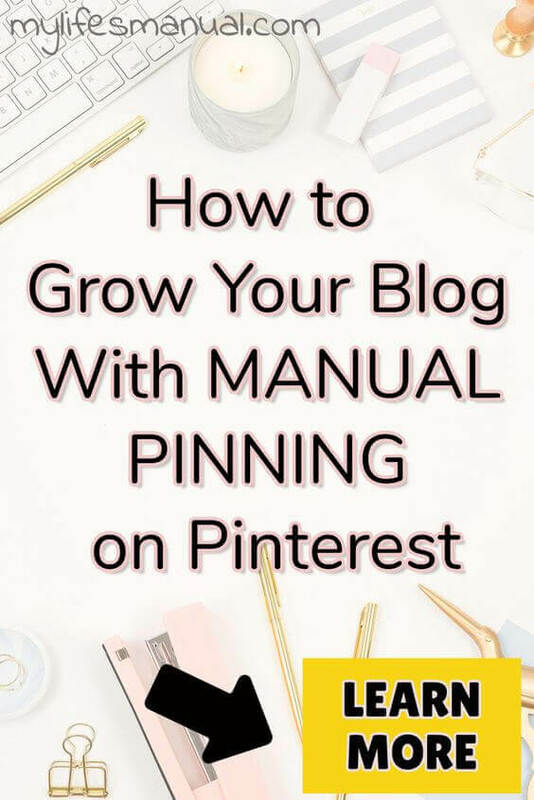 I got this book and lvoed it as well, it increased my blog traffic too till i decided to try tailwind and it went down, so for me, yes manual pinning is the way! This is a great course review. Thanks for sharing it. I love using Pinterest to grow my blog traffic! I keep seeing this ebook pop up! I'll have to check it out!